Nestling in the Gauteng province at an altitude of 5000 feet, Kyalami has been the jewel in the crown of South African motorsport for almost 60 years. The original layout was not for the faint of heart – from the long pit straight to the downhill right-hander at Barbecue Bend and the all-or-nothing Jukskei Sweep, Kyalami was a high-speed challenge that was conquered only by the very best. Niki Lauda won there three times; Jackie Stewart and Nigel Mansell twice. In 1985, Mansell took pole position at the breath-taking average speed of 147mph. Opened in 1961, Kyalami held its first Grand Prix six years later, and was where Jim Clark and Jack Brabham both scored their final victories. But it was also the scene of memorable breakthroughs – in 1971, Mario Andretti claimed his first Grand Prix win on his debut for Ferrari, instantly making the versatile Italian-American a hero to the tifosi who follow the Scuderia’s every move. Three years later, Carlos Reutemann took not only his maiden victory, but also the first for the Brabham team since it had been bought by Bernie Ecclestone. It was the first time that a car designed by Gordon Murray won a Grand Prix – it would certainly not be the last. Kyalami always had a knack for producing sensational racing and memorable moments. In 1978, Ronnie Peterson muscled past Patrick Depailler during a frantic final lap and crossed the line only 0.4 seconds clear of his rival. And in 1983, Nelson Piquet snatched the world title from Alain Prost in the final round of the championship. For many years, the South African Grand Prix either opened or closed the season, which gave it an atmosphere unlike any other. The camaraderie between the drivers was different in those laid-back days, and they all tended to stay at the Kyalami Ranch, where they could make the most of the African sun by relaxing around the swimming pool. From there, they could look up to the track at the top of the hill. 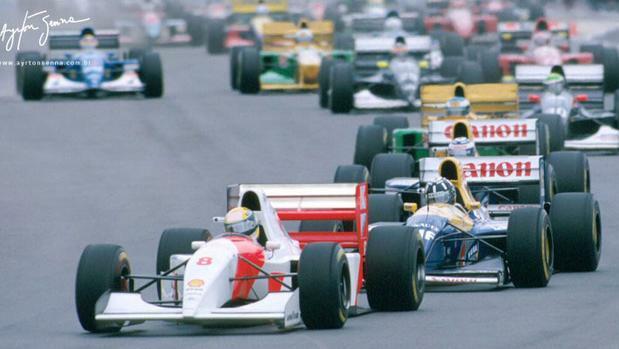 But Kyalami’s reputation as a truly great venue was built on much more than Formula One. The Nine Hours sports car race attracted a stellar field throughout the 1960s and ’70s. David Piper – one of the era’s most celebrated privateer entrants – won it six times, while Jacky Ickx did likewise on four occasions. During the revered Group C era of the 1980s, Kyalami hosted a round of the World Sportscar Championship, and in 1983 the pairing of Derek Bell and German wunderkind Stefan Bellof took victory in the iconic Porsche 956. No matter what the car, Kyalami was a place that sorted the men from the boys. The Highveld in which the circuit was built is ‘big sky’ country, and the majestic landscape was a fitting backdrop to one of the most challenging motorsport venues of all – a Mecca of speed where legends were made and champions crowned. 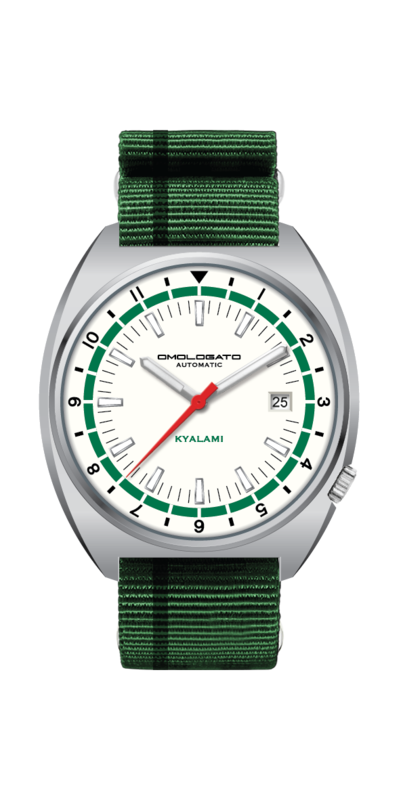 Omologato is paying tribute to the circuit with the launch of its new Kyalami timepiece. 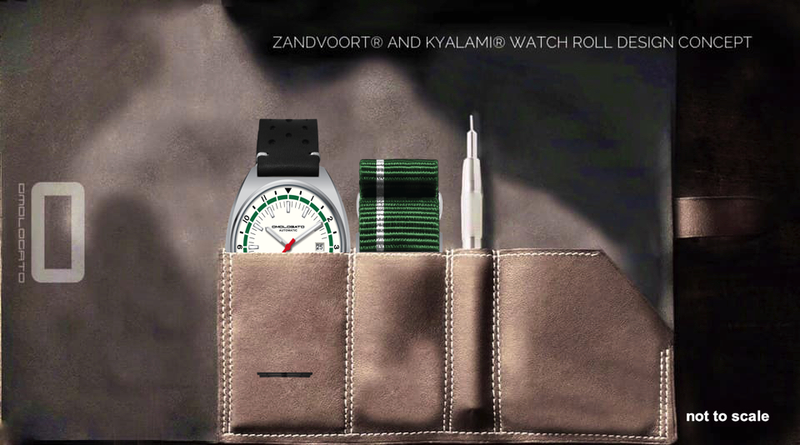 Its stylish retro design honours South Africa via its use of green and red, and features sapphire glass as well as a beautifully engineered caseback. 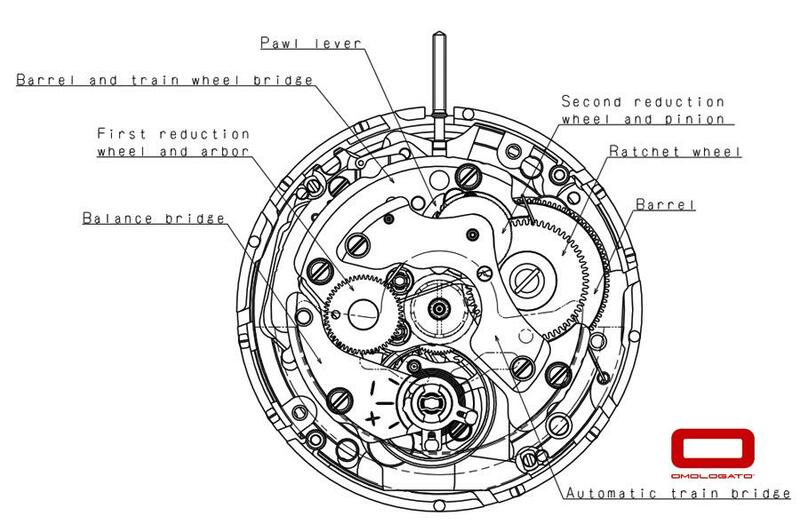 Along with the new Zandvoort, the Kyalami is also the first Omologato watch to feature Seiko automatic movement, with a sweeping seconds hand. A leather strap is included, plus a NATO strap as a spare, and there’s a watch roll plus strap-changing tool. Both the Kyalami and the Zandvoort are fitting additions to Omologato’s motorsport-themed line-up, and continue the company’s tradition of honouring racing history. MOVEMENTS Seiko NH35 Automatic with sweeping second hand. 24 jewel movement. HANDS Retro style Kyalami® green hands with matt silver, lumo to hands and indexes.